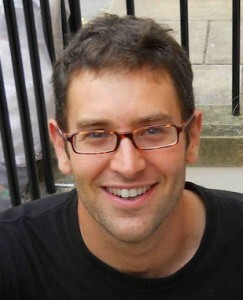 Daniel Mackler is a filmmaker and musician in New York City. He also worked for ten years as a psychotherapist in New York, though ended his therapy practice on March 1st, 2010. His writings focus on the causes, consequences, and radical significance of childhood trauma. He sees childhood trauma as ranging from the extreme, which is common, to the mild, which is so much MORE common that few even notice it at all, much less call them by its proper name. He views the norm in our culture as being highly traumatized, and he views the average, and even above-average, childhood as being extremely traumatic – and the average parent as lacking both awareness of this and deep empathy for the child. He sees our world growing more pathological, confused, polluted, overpopulated, and disturbed by the day – and he feels that to stand by and say nothing while we destroy our planet is irresponsible and even criminal. Yet Daniel writes with great hope – both for individual healing and for the collective healing of our world. He seeks to offer a new perspective – on relationships, on enlightenment, on celibacy, on the pathology of the family system, and on the future of our species. As of May 2014, Daniel has put all his documentaries on Youtube, free to watch. Take These Broken Wings, a feature-length documentary film by director and psychotherapist Daniel Mackler, shows that people can recover fully from schizophrenia without psychiatric medication. According to most of the mental health field, and of course the pharmaceutical industry, this is not possible. How little they know – or want to know! The film centers on the lives of two women – heroes of mine – who both recovered from severe schizophrenia. The film traces the roots of their schizophrenia to childhood trauma and details their successful psychotherapy with gifted clinicians. The first woman is Joanne Greenberg (fully recovered for fifty years), the bestselling author of I Never Promised You A Rose Garden. The second is Catherine Penney (fully recovered for thirty years), a mental health nurse in California whose healing tale was chronicled by her therapist, Daniel Dorman, MD, in the book Dante’s Cure: A Journey Out of Madness. Their accounts are interwoven with interviews with giants in the field of schizophrenia recovery. These include Peter Breggin, MD (author, Toxic Psychiatry), Robert Whitaker (journalist, author, Mad in America), and Bertram Karon, PhD (author, Psychotherapy of Schizophrenia: Treatment of Choice). Also featured throughout the film are over 100 interview clips of strangers filmed in New York City’s Washington Square Park who share their points of view on schizophrenia.